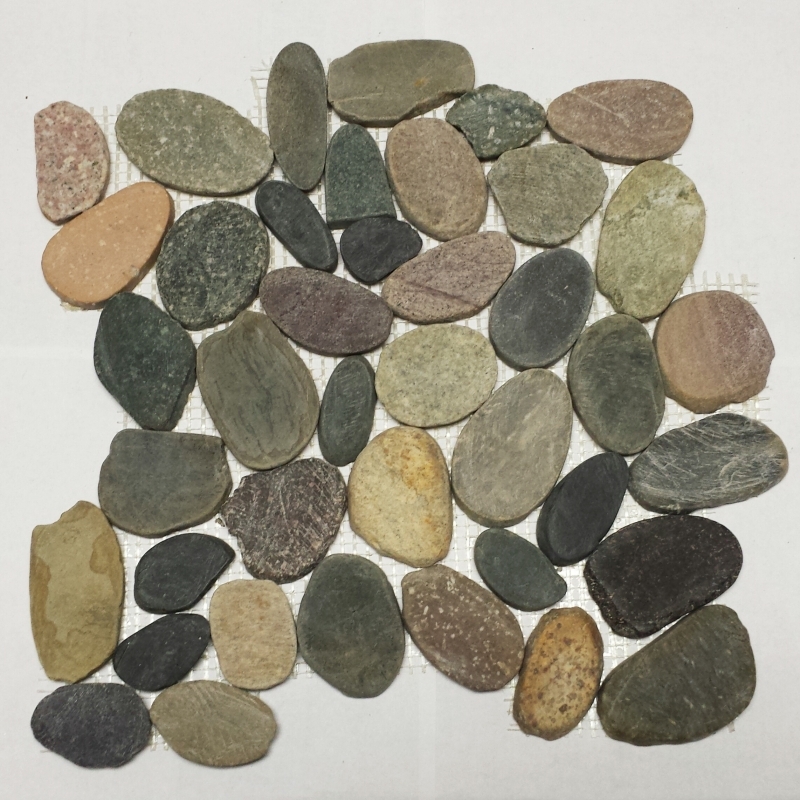 Mountain Grey 12"x12" Flat Interlocking Polished Pebbles - The cliff-side calls with Mountain Grey. A granite-like mix of pebbles with a surprising splash of striking natural colors will give a touch of Mother Nature to every room. The flatness of these stones make them ideal for adding a subdued natural look. These are beautiful, affordable, and sliced stones that will look beautiful in our shower. Very happy with this purchase!